Could increased openness lead to liberation or more credit card debt? Nerd Wallet, a financial wellness firm, surveyed over 2,000 adults ages 18 and older and found the average American household with debt is carrying about $15,355 in credit card debt. However, this survey went beyond just how much debt they had to see how they really felt about it deep down. Turns out, 70 percent of Americans think there is a stigma attached to credit card debt more than any other type debt. Americans feel less judged or embarrassed about disclosing other debts – student loans, mortgages and medical bills. This may be due to the belief that these types of debts are taken on for a clear and acceptable purpose, while credit card debt is often seen as frivolous overspending or a sign of lack of financial responsibility. Of all the water cooler and ice breaker conversations, debt woes are least likely to be one of them. While it’s certainly not an ice breaker, the survey shows it may be a deal breaker in matters of the heart – and it all depends on age, income, demographic and gender. Those who make more money – at least 68 percent of Americans with an income of over $50,000 a year would be embarrassed to tell others that they have credit card debt. Midwesterners – 61 percent are least likely to disclose having any type of debt, followed by 56 percent of Southerners. Households with children – 65 percent of those with children in the home say they’d be more embarrassed disclosing any type of debt whereas just 50 percent of those without children would be. 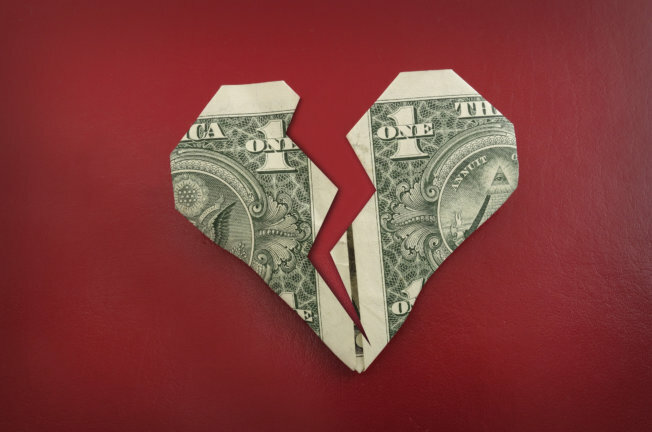 62 percent of Americans 65 years and older are least interested in dating someone with debt verses 46 percent of millennials. Interestingly but unsurprisingly those who are most likely to judge a friend or family member for having credit card debt would feel judged if family members and friends knew how much debt they were carrying. There is the notion that the more you talk about something – a problem, for instance – the more acceptable it becomes. This can lead to desensitization. Others say talking about it could be liberating and open pathways to finding a solution. Regardless of how you feel about debt, thankfully there are strategies that can be employed solo and financial companies that can lessen the stress and lighten their burden. The best way to deal with anything in life – including debt – is through acceptance first and foremost and then finding solutions to that problem. Feeling shameful or embarrassed may bring with it a timid attitude. Acceptance and openness may lead to proactivity such as picking up the phone and negotiating lower rates with lenders or reaching out to a financial company or advisor for help. By doing nothing, the interest rates remain the same and despite efforts to pay it down the best you can, often the bulk of your payments go towards interest instead of principal, keeping you in debt longer. So while you may not want to talk to friends and coworkers about your debt, the one group of people you should reach out to so you can talk about it are your creditors! If the shame is too heavy a burden to bear you may also try taking advantage of 0 percent introductory rate credit card offers. Not for more spending but for transferring balances. Many companies in an attempt to entice consumers to sign up for new accounts will offer zero percent introductory rates for a certain period. If the 0% introductory period is, let’s say 2 years, and you think you can pay off the debt within that period, then by all means transfer all your debt to this one credit card. Just be aware with balance transfers that there’s usually a fee for the transfer. So while you’ll avoid monthly interest charges, you may have to pay up to 3% of each balance transferred. If the zero intro rate is six months and you’re carrying $15,000 in credit card debt, unless you’re expecting a windfall it might be impossible to pay it off before the 0 intro rate period expires. If the rate expires and you still haven’t paid off the debt the interest you saved over that six month period will be tacked back onto the debt. Big problem! Your best option would be passing up on that offer and enlisting the help of a debt management company. Before you sign up do your due diligence to make sure that the company you choose is reputable, has been in the business for a long time and has a good rating with the Better Business Bureau (BBB). If you need credit counseling and debt management seems like a more viable option dial 1-888-294-3130 to speak to a certified credit counselor or request help online.